A Russian Arctic archipelago sounded the alarm on Saturday after dozens of polar bears were seen entering homes and public buildings. The Northeastern Novaya Zemlya archipelago, which has a population of about 3,000 people, asked for help to tackle "a mass invasion of polar bears into inhabited areas," regional authorities said in a statement. CCTV Footage in the player above shows a polar bear peaking inside a house in the archipelago's main settlement, Belushya Guba. 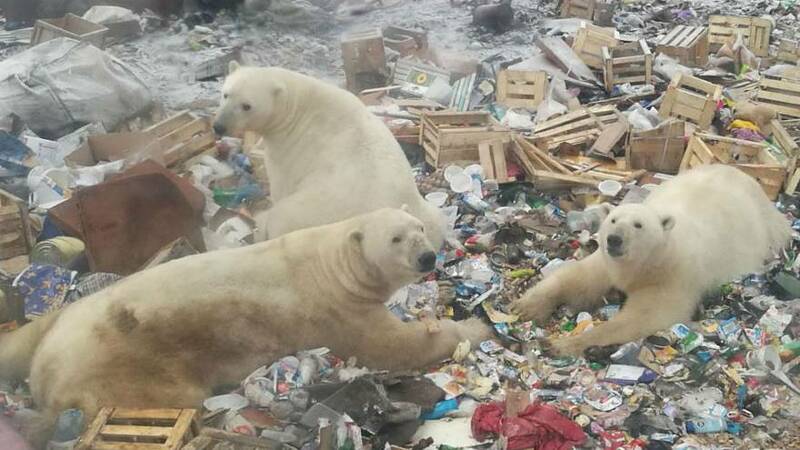 Local official Alexander Minayev said in a report to authorities that polar bears have been spotted in Belushya Guba since December displaying "aggressive behaviour", which included "attacks on people and entering residential homes and public buildings". The head of the local administration, Zhigansha Musin, said he'd never seen so many polar bears since he's been living in the archipelago. Russia's World Wildlife Fund (WWF) said polar bears were being forced into villages because of climate change, explaining that due to the decrease of the ice cap, the animals were being forced to go ashore to search for food. For now, authorities have refused permission to shoot the bears but a cull has not been ruled out. The bears are considered an endangered species in Russia and hunting them is banned. A group of federal officials is expected to go to the archipelago and assess the situation.